If there's so much CO2 in our atmosphere why not put it to good use? Researchers at the Institute of Bioengineering and Nanotechnology in Singapore say they have identified several classes of organic chemicals that can capture carbon dioxide from the atmosphere and then be used to make more environmentally benign plastics. CO2 is an excellent chemical building block; it is renewable, abundant and considered environmentally friendly. Plants efficiently convert CO2 into food through photosynthesis. Scientists, however, have long struggled to reproduce this process at an industrial scale. Before recent advances, the methods that existed were very inefficient, rendering them economically unviable. Significantly, in addition to finding a use for carbon dioxide, these polycarbonates do not contain bisphenol A (BPA), a potentially harmful chemical found in most commercial polycarbonate plastics in use today. The imidazolium salts are stable enough that they can repeatedly “grab” CO2 molecules and incorporate them into larger molecules in the plastic-making process, according to a study published in the journal Energy & Environmental Science. 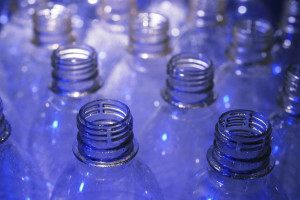 The process also eliminates the need for petroleum in the manufacture of plastics.